DISCLAIMER: DS4TOOLS IS NOT AN OFFICIAL SOFTWARE. ITS USE DOES NOT GUARANTEE THE OPERATION OF THE SONY CONTROLLER THAT YOU TRY TO CONNECT AS IT MAY FAIL ON A LOCAL COMPUTER. Connecting a PS4 controller does not necessarily require additional handling over a typical PC connection. However, to centralise all the information we have about it, here's how to connect your Dualshock 4 wireless controller to all our applications and Shadow box. Unlike Xbox controllers, PS4 controllers require the installation of third-party software in order to work. This is not a feature of Shadow, but Windows. Here is the procedure to allow you to use your PS4 controllers with your box and your Shadow. the latest version that should be at the top of the page, then below the Download button, click on "DS4Windows.zip"
Once the .zip file has downloaded, extract the 2 files contained inside: DS4Updater and DS4Windows. - Click the "Step 1: Install the DS4 Driver" button and click Install when the pop-up appears. Alternative solution: The USB over IP connection is automatically recognised through the Beta client that you can find in your client space under applications. Unlike Xbox controllers, PS4 controllers require the installation of third-party software in order to work. This is not a feature of Shadow, but Windows. .Attention, this tutorial must be done on your local session and not your Shadow. Once the .zip file downloaded, extract the 2 files contained inside: DS4Updater and DS4Windows. - IF YOU ARE ON WINDOWS 7 OR OLDER: Click on the button "Step 2: If on Windows 7 or below, Install 360 driver"
Warning: Bluetooth functionality is not available on Windows. -A light above your joystick lights up. Warning: your DS4Windows session must always be started on your Windows turn off in your Shadow session. You can now play your games with your PS4 controller. Your controller will appear in the device list. Launch your Shadow app now. No further manipulation is necessary, your controller should work.Be careful, if your controller does not work anymore even though it was already recognised, it is because it is only paired and not connected. 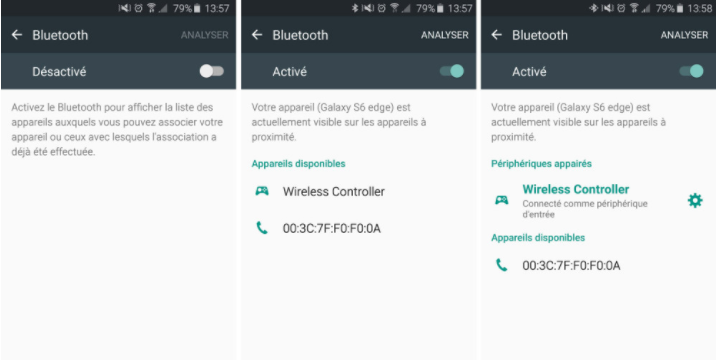 Remove the joystick from your Bluetooth menu and then do the pairing operation to find the connection to your controller.If the controller seems to have a significant delay, do not hesitate to lower the quality of your bandwidth and resolution. Unlike Xbox controllers, PS4 controllers require the installation of third-party software in order to work. This is not a feature of Shadow, but Windows. Here is the procedure to allow you to use your PS4 controllers on your box and your Shadow.